While Professor X is active, your opponent cannot field characters. He or she can pay 2 life to prevent this effect for the rest of this turn. 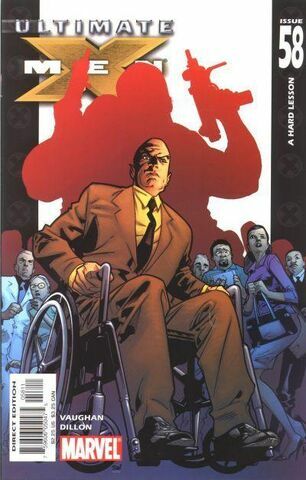 Professor X: Charles Francis Xavier requires the opposing player to pay life to circumvent his effect. This 2 life is considered a cost and not the equivalent of taking damage. As a result, character effects that depend upon the opposing player taking damage would not trigger (e.g., Hulk: Green Goliath). Professor X's ability cannot be overridden by actions and character effects which allow fielding dice for free. An affected player would have to pay 2 life and then would be able to field characters, including any that could be fielded for free through an effect.